Injury-hit Russian star apologizes to fans on Facebook page. Russian tennis player Maria Sharapova has announced that she will not be taking part in the U.S. Open, which opens on Monday, Aug. 31. “Unfortunately I will not be able to compete in this year’s U.S. Open. I have done everything possible to be ready but it was just not enough time. To all my amazing fans, I will be back in the Asian swing in a few weeks and look forward to finishing the year healthy and strong,” Sharapova wrote on Facebook. The 28-year-old Russian, who was seeded third in the tournament and was due to play Australia’s Daria Gavrilova in the first round, is still struggling to recover from a leg injury. The last tournament Sharapova took part in was Wimbledon (which concluded on July 12). 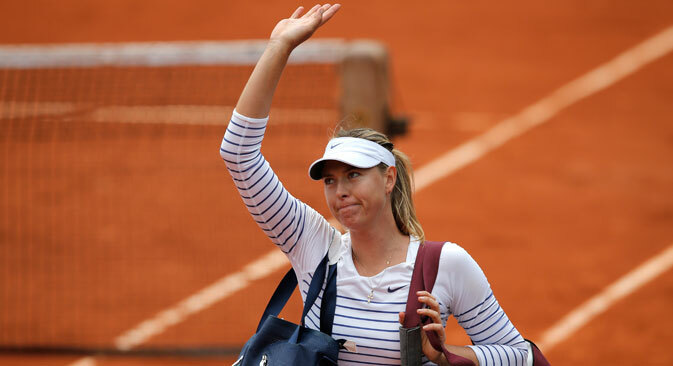 There the Russian reached the semi-finals, where she lost to Serena Williams, who went on to win the tournament. Her place will be taken by fellow Russian Daria Kasatkina, the U.S. Tennis Association has announced.